Born in Argentina, De Gregorio is a teacher at la Nouvelle Sorbonne and la FEMIS (Paris). After studying philosophy and literature, he settled down in Paris. He started working as a screenwriter for Bertolucci and Rivette. 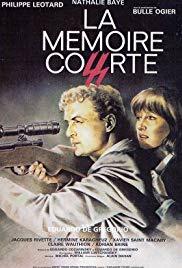 In 1976, he started as a director and wrote the screenplay Serail, then La Mémoire courte starring Nathalie Baye and Philppe Léotard. His first two movies participated in festivals in New York, Lodon, Edimbourg and Cannes. In the 80’s, Corps perdus won 6 awards at the Argentinian Cinema festival of Santa Fe. After 12 years absence, he came back in 2001 with a story of dream and tango: Tangos volés.